Everyone knows that Slow Food is infinitely better for you — and better-tasting — than fast-food. There are other wonderful slow things: Slow Cities, Slow Fashion, Slow Travel, to name a few. 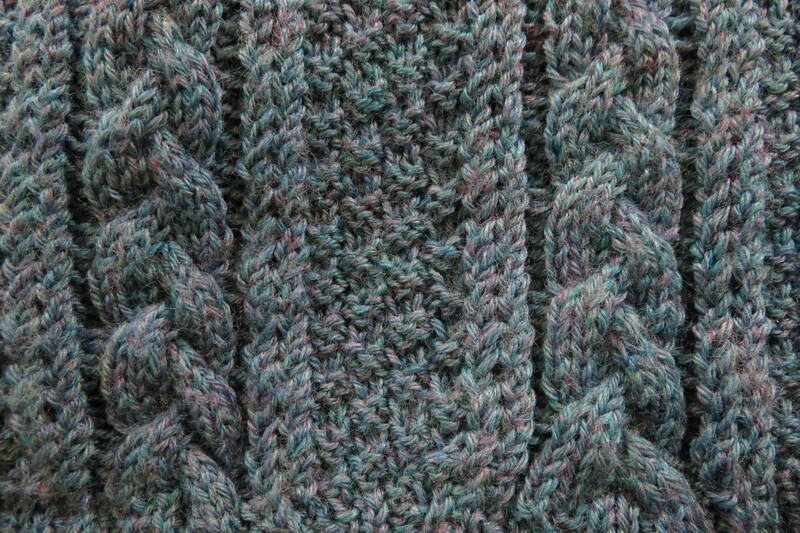 Slow Yarn is yarn that’s made by hand by real people, not industrial machines. People who spin their own yarn are not interested in speed. What they want is great homemade yarn with character, and if it takes a while to spin and ply this custom yarn, so be it. Slow Yarn, the old fashioned way. 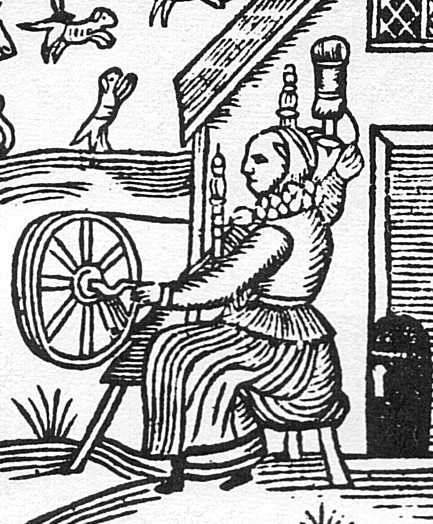 A spinning wheel is slower than an industrial fiber mill. 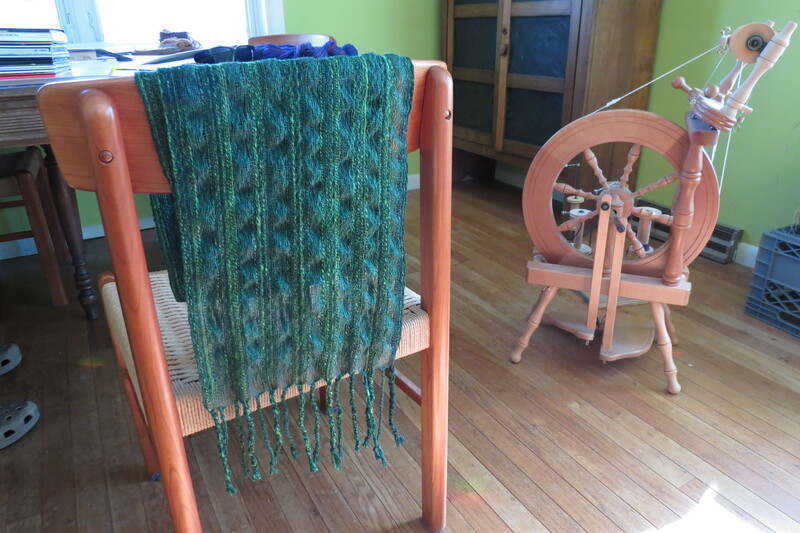 And a drop spindle is even slower than a spinning wheel. 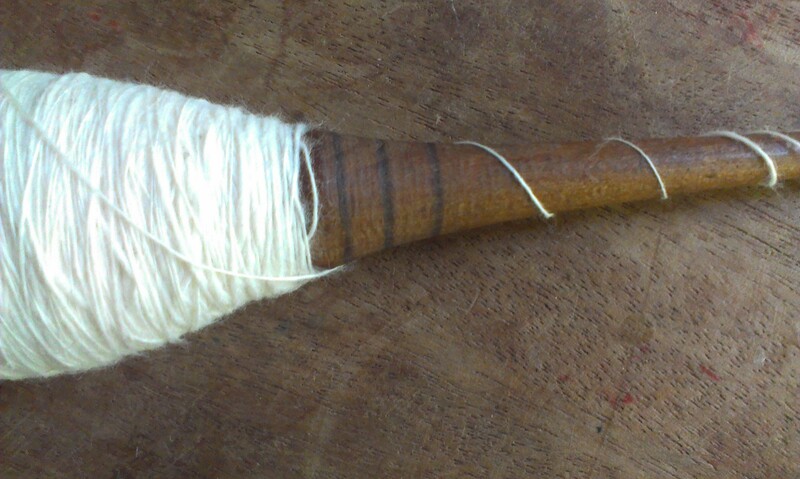 And a hand spindle, which is basically nothing more than a tapered stick, with or without a weight and a support underneath, is the oldest and slowest type of spinning of all. After years of scoffing at spindles, I finally bought an antique French spindle on eBay. Perfectly balanced and tapered, it was hand-carved with a drawknife and dark lines were scribed at intervals along the shaft. It’s about as long as a wizard’s wand. “Expelliarmus yarnus” keeps popping into my mind when I look at it. See the incised dark bands? Racing stripes for a very slow device. I struggled to learn how to hold it, spin it and draft the fiber. “If Neolithic people could do this, then I can,” I told myself. I used cotton roving, one of the most difficult fibers to spin, assuming that if I could only master it, I could go on to spin any other fiber. It grew easier by increments, usually after I had laid it aside for a couple of days to mull over the mechanics. Each time I picked it up, there was a palpable improvement, to my surprise. Who would have thought that laying it aside could be as beneficial to progress as actually spinning with it? It was designed to be twiddled between the fingers, but I’ve been spinning it while resting the tip on the table surface. A bowl at the base is really not necessary. 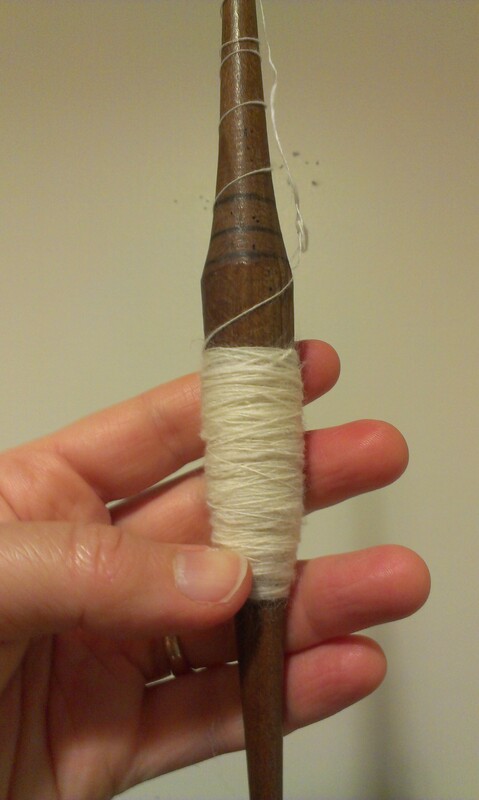 Once, while riding in the car, I spun for half an hour using a piece of creased paper over my lap for support, the bottom point of the spindle tucked into the fold. A drop spindle on the other hand can’t be used in most cars. The growing cop has swelled to reach the first of the three dark bands. 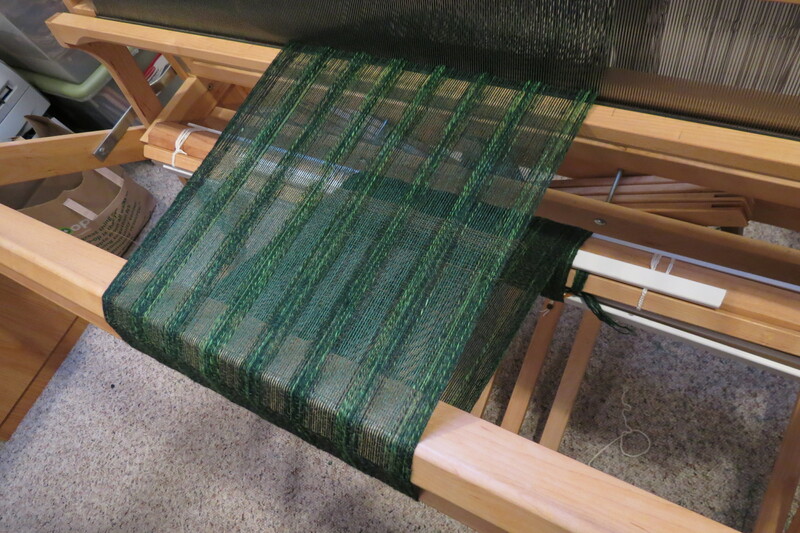 Hand-spindling is not so slow as to drive me wild with impatience. It’s meditative instead; it’s contemplative. It’s portable to the nth degree; it’s got zero carbon footprint since it’s vintage and recycled and handmade. And it’s certainly far more rewarding than using my spinning wheel, which makes me tend to slip into autopilot. If you’re already a spinner with a wheel or a drop spindle, it’s well worth trying the humble tapered stick called a hand-spindle, many of which can be found on eBay. Thanks for reading and commenting, Sonja! I am always glad to do demonstrations, particularly for children. They are usually amazed to see yarn appearing on the wheel or the spindle as if by magic.